By chance, two really interesting projects both seeking support on the crowd-funding site Kick Starter are coming to their conclusions in the next 24 hours. They’re both well worth a look. 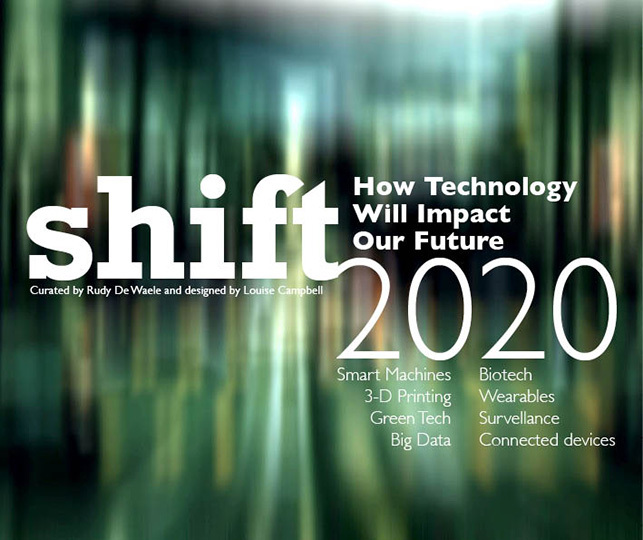 shift 2020 is a collaborative book about how technology will impact our future. The book is curated by Rudy De Waele and designed by Louise Campbell. 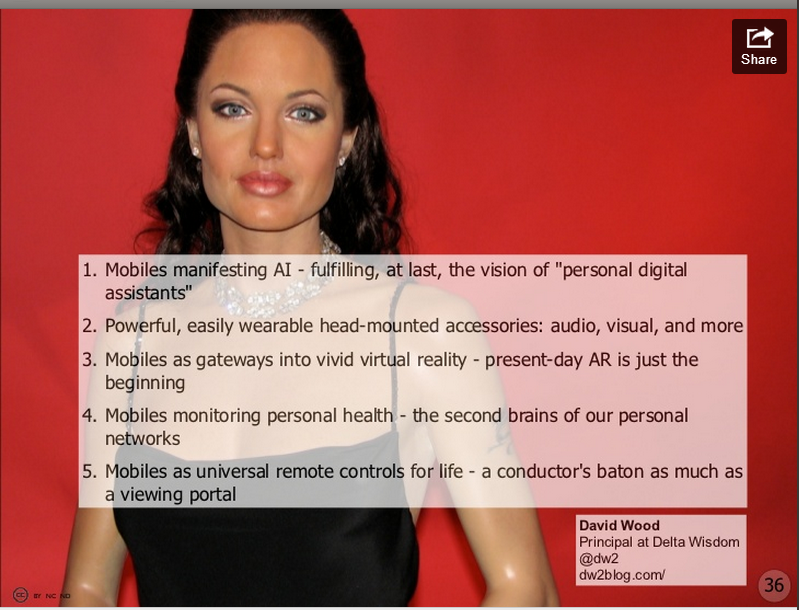 The idea of shift 2020 is based upon Mobile Trends 2020, a collaborative project I launched early 2010. It’s one of the highest viewed decks on Slideshare (in the Top 50 of All Time in Technology / +320k views). Reviewing the document a couple of weeks ago, I realised the future is catching up on us much faster than many of the predictions that were made. I thought it was time to ask the original contributors for an update on their original predictions and new foresights for the year 2020. The list of authors is extensive. I would copy out all the names here, but urge you to click on the links to see the full list. Mobiles as universal remote controls for life – a conductor’s baton as much as a viewing portal. I’ve added some extra content for shift 2020, but that’s embargoed for now! NO FRILLS PAPERBACK (UK SHIPPING). shift 2020 Black and white printing on cream-coloured paper with a full-colour soft cover (5×8 in 13×20 cm) + 80 pages specially designed for business travellers, printed by blurb.com. Shipping costs included. Whereas shift 2020 seeks funding to support book publication, PostHuman seeks funding to support a series of videos about transhumanism. 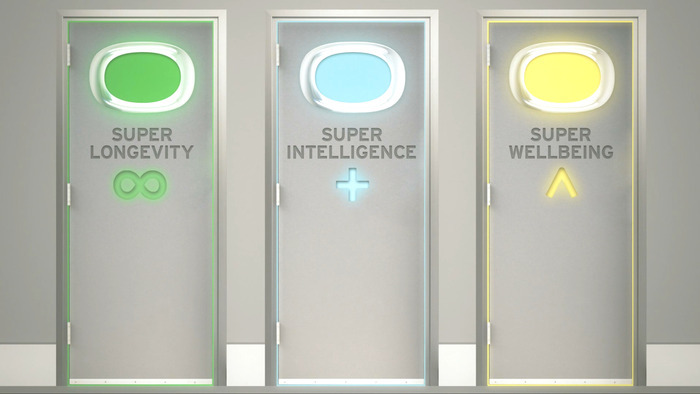 The first video by the British Institute of Posthuman Studies (BIOPS), entitled “PostHuman: An Introduction To Transhumanism”, investigates three dominant areas of transhumanist thought: super longevity, super intelligence and super wellbeing. It covers the ideas of Aubrey de Grey, Ray Kurzweil and David Pearce. Writers Marco Vega and Peter Brietbart (that’s us!) have shared a passion for philosophy since we first met at Sussex University five years ago. Over time, we became frustrated with the classical, removed armchair philosophy, and began to look for philosophically sophisticated ideas with real human impact. Transhumanism stood out as a practical, far-seeing, radical and urgent field, informed by science and guided by moral philosophy. We soon realised that our philosophy buddies and lecturers had barely heard of it, though the ideas involved were exciting and familiar. The problem for us is that even though transhumanism is incredibly relevant, it’s practically invisible in mainstream thought. Influenced by YouTubers like QualiaSoup, 3vid3nc3, CGPGrey, RSA Animate,TheraminTrees, Vsauce, CrashCourse and many more, we saw that complex ideas can be made accessible, entertaining and educational. Our dream is to make this project – the culmination of five years of thought, reflection and research – a reality. In the year 2014, we want to write, produce and release at least 6 more fully animated episodes. We’ll investigate a range of different transhumanist themes, consider their arguments in favour, highlight our greatest worries, and articulate what we perceive to be the most significant implications for humanity. We’re worried that such critical topics and concepts are not getting the coverage they need. Our aim for the video series is to bring awareness to the most important conversation humanity needs to be having, and to do it in a way that’s accessible, balanced and educational. In addition to animating the ideas and concepts, we also want to seek out and challenge influential transhumanist thinkers. We’ll record the interviews, and include the highlights at the end of the videos. We’re looking to raise £65,000 to allow the production crew to make this happen. I wish both shift 2020 and PostHuman the best of luck with their fundraising and delivery!